For use with any FreeZone Freeze Dryer manufactured after July 2017. 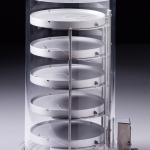 Chambers allow for drying of bulk samples, or drying of serum bottles, vials or microplates. 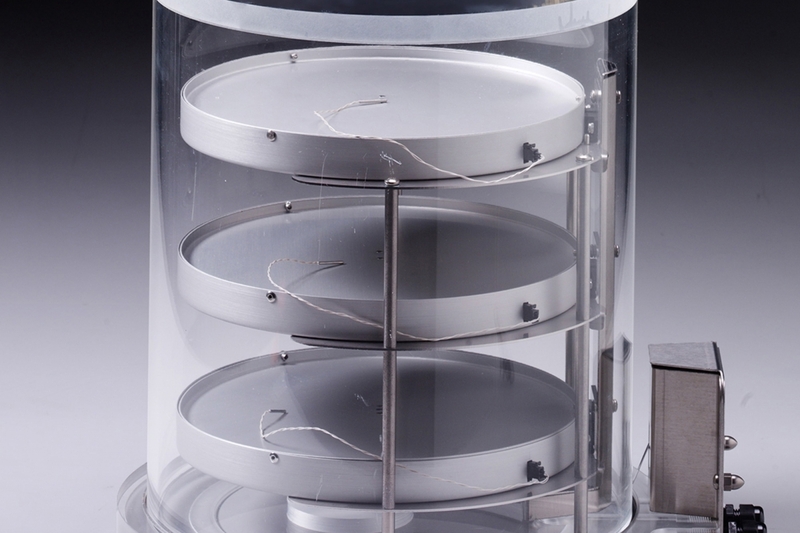 The 10" diameter shelves are wireless and removable so that they may be placed in a freezer for pre-freezing. Each shelf is height adjustable to accommodate a broad variety of sample sizes. 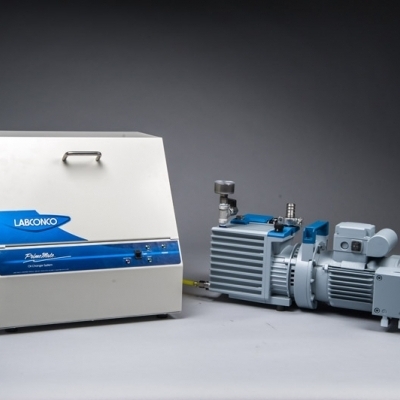 Chamber connects to a FreeZone Freeze Dryer for control and recording of shelf temperature from the Lyo-Works display. Temperature may be set from -20° C (-4° F) to +60° C (+140° F). 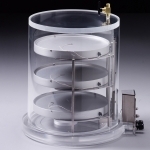 Each Chamber includes a 12" diameter clear acrylic cylinder, vacuum release valve, cap for vacuum port and 8" diameter opening to collector on bottom of chamber. Will fit 10.12” or 14.0” diameter condensers. 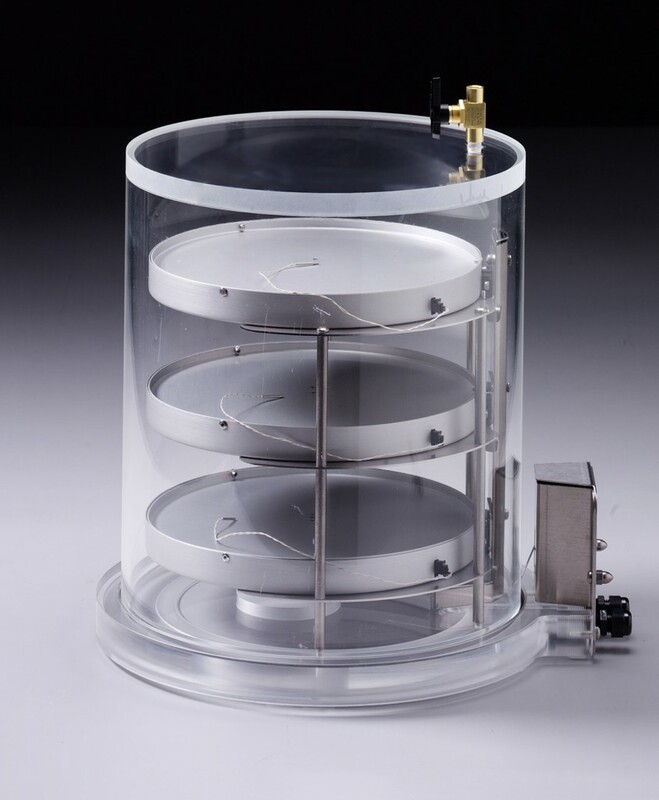 Short Chambers include three shelves and three temperature probes. Tall Chambers include five shelves and five temperature probes. When she visited Kelly at Labconco, Gail's struggle led to an epiphany that would change how laboratory freeze drying is done. With the creation of Lyo-Works OS, samples can now be monitored from anywhere. And with End-Zone™ End Point Detection, now FreeZone Freeze Dryers can even send you an alert when your samples are completely lyophilized. These are Heated Product Shelf Chambers manufactured in August 2017 or later. For FreeZone Heated Product Shelf Chambers manufactured after August 2017. 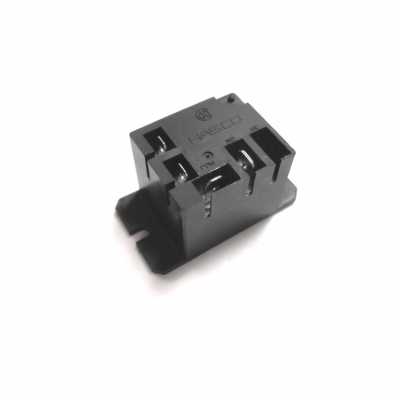 Update your Lyo-Works OS Software before installing this firmware. This .zip file contains the firmware and installation instructions for FreeZone Bulk Tray Dryers, Small Tray Dryers and Heated Product Shelf Chambers manufactured in 2017 and later. 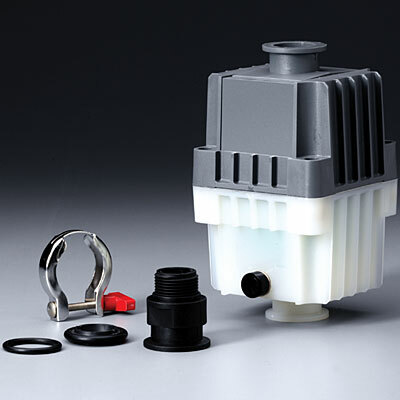 PrimeMate Oil Change Systems, Chemical Traps, Dry Ice Traps, Liquid Nitrogen Traps and Liquid Traps are available, as well as the necessary tubing and tubing accessories. 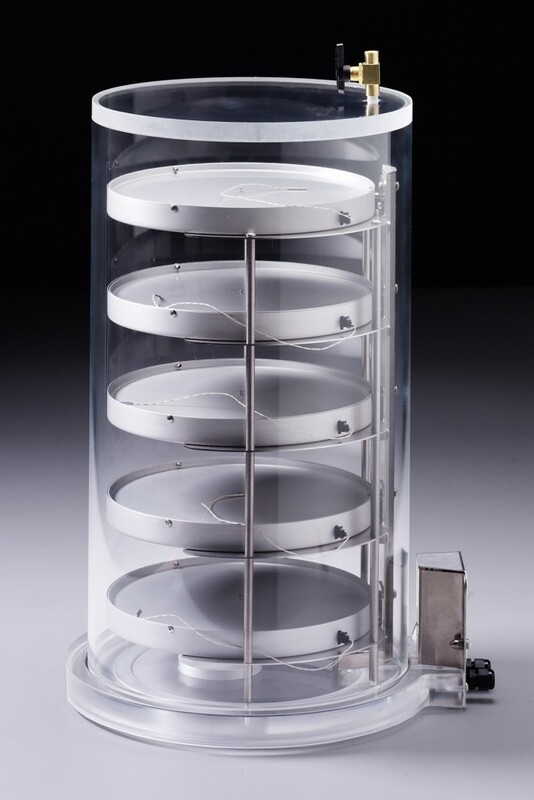 These freeze dryers are designed to handle the lyophilization needs of research and pilot plant laboratories. 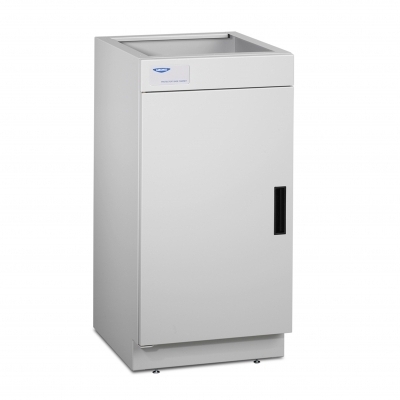 Benchtop freeze dryer or mobile console. Models available that reach as low as -105°C. 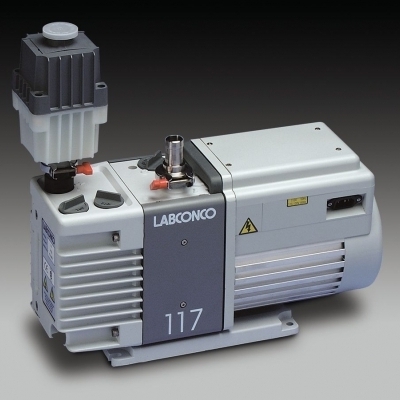 Labconco offers a number of vacuum pump types, including Rotary Vane Pumps, Combination Pumps, Diaphragm Pumps and Scroll Pumps. 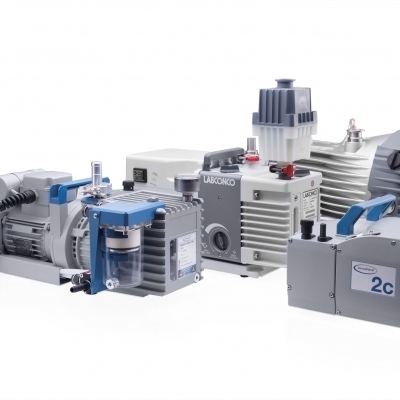 Combination vacuum pumps are corrosion resistent rotary vane/diaphragm vacuum pumps designed for use with acidic samples and harsh chemicals. 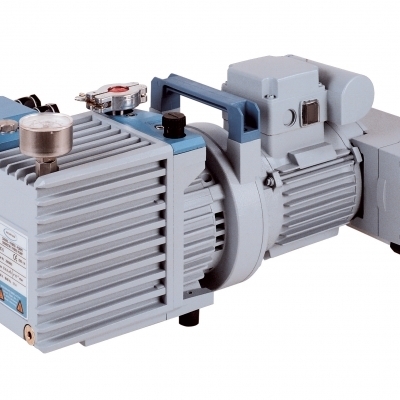 A general, economical rotary vane vacuum pump for a variety of laboratory equipment. 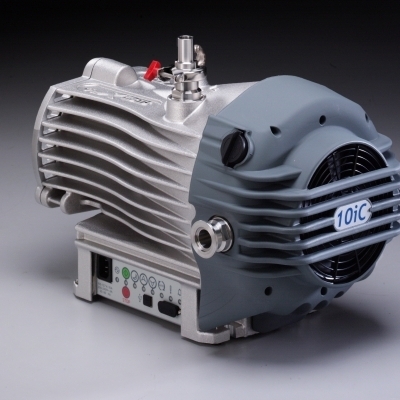 Low maintenance, corrosion resistant pumps that don't require oil. These cabinets provide enclosed space for vacuum pump storage.